Vote forVictor Harbor, SATop Regional Destinations Which are Australia's must-visit destinations? You help us decide. This popular South Australian oceanfront locale offers both a picturesque aspect and a historic background, as well as numerous charming arts and crafts to go along with some bracing sea air. Having been a popular holiday destination for South Australians for hundreds of years, Victor Harbor offers plenty of distinctive reasons for visiting: temperatures are comfortable, rainfall is low, and there's an idyllic balance between both man-made and natural attractions nearby. The town of Victor Harbor sits in a scenic spot on Encounter Bay with an interesting outlook towards ocean-encompassed rock formation The Bluff, and walks a line between retaining its laid-back atmosphere and dealing with the chaotic nature of the busy holiday season nicely, making for an excellent all-rounder with some other great SA highlights nearby. Victor Harbor's standout attraction is its horse-drawn tram that adjoins the town via a 630m-long causeway to neighbouring Granite Island – a former hub for Little Penguins that has unfortunately seen their numbers deteriorate in recent years – and takes riders on a heritage journey that brings with it a wonderful outlook. Pulled by beautiful Clydesdale horses, it's iconic of the region of a whole and has entertained hundreds of thousands of passengers since its inception in the late 1800's. The panorama the tram offers sums up this part of SA's Fleurieu Peninsula as a whole, with views of amazing cliffs and beaches, azure waters and the township itself. Exploration here on foot is also highly fulfilling, and there are several enticing walking tracks to traverse in Victor Harbor's surrounds. The Deep Creek Conservation Park remains a well-protected hub for hiking trails engulfed by beautiful bushland, and portions of the spectacular Heysen Trail – South Australia's wondrous, 1,200km-long epic walking track – offer breathtaking scenery for those willing to put in the effort. Dramatic cliff tops can be seen in the distance, and the blend of coast and greenery makes for a wonderful tableau that can be explored in sections or its entirety. Those interested in seeing additional wildlife highlights can also take a boat trip to see more of the regional animal residents in person – Victor Harbor's seaside is a haven for seals, dolphins and sea lions, and when coupled with the picturesque coastline makes for a near must-do. The town also has a number of galleries, an excellently-curated Whale Centre, golf and animal attractions nearby, rounding out its offerings and helping fill out additional itinerary slots. In all, this is a coastal town where glitz and glamour take a back seat to authentic scenery and locally-powered experiences, where its rewards become more apparent the longer the visit; as a result, a multi-day exploration of Victor Harbor is well worth the investment. Looking to pay a visit to Victor Harbor but not sure what to do? Here are some of the most essential experiences. What's new in Victor Harbor in 2017/2018? Whale numbers in the region continue to increase, with the largest number of whales seen in years making whale watching a must-do activity. Need more info on Victor Harbor? Check out our detailed travel features on this top spot below. Need help planning your trip to the Yarra Valley? Not sure what you can actually do in the region? Then look no further, we've found the top 10 things to do! 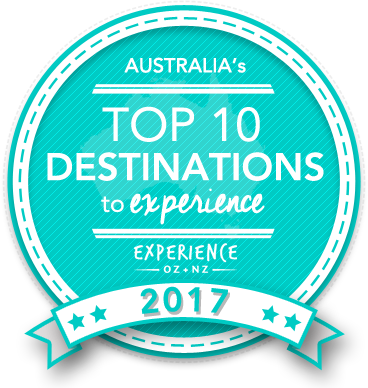 Is Victor Harbor Australia's Top Regional Destination to Experience for 2017? Vote now for the chance to WIN an epic trip to one of Australia's top destinations!